GAP relies on fundraising and donations to continue to provide support to autistic individuals and families in Galway. Currently, we do not receive any state funding – without the generosity of our members and community, GAP would not exist. We always aim to keep our costs low so that monies raised can benefit those who need our support. We understand that families and individuals with additional needs are not always in a position to fundraise. If you are considering participating in an event (VHI Women’s Mini Marathon, Tough Mudder, Dublin City Marathon, etc), or if you know a friend or family member who is doing so, please consider Galway Autism Partnership as your chosen charity. If you have an idea for a fundraiser, we would love to hear from you! 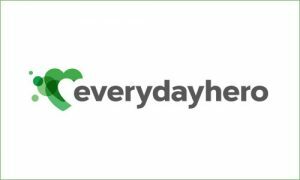 For online fundraising you can use Everyday Hero, iDonate or Facebook. A Facebook fundraiser is a great way to spread the word about your fundraising and is very easy to set up. We have an instructional video available here. All money raised online comes directly to GAP so you don’t have to worry about dealing with cash. If you would like to purchase a Gift with a difference for someone, why not consider a Gift to GAP. A Gift to GAP is a virtual gift allowing you to support GAP’s activities while giving a gift with a difference. For more information click here. GAP also has donation boxes available to place in shops, pubs, cafes etc. If you would be willing to put one of these donation boxes into your place of work or you know someone who would, please contact us to arrange to get a box. If your company has a Charity of the Year, we’d be really grateful if you would nominate GAP! If your school or your child’s school is holding a fundraiser and looking for nominations for a charity, we’d love if you picked us! We’ve also had lots of schools hold ‘Wear Blue’ days to raise awareness and understanding of autism. People on the autism spectrum bring unique qualities, talents and experience like any other person. They and their families deserve an equal chance at life experiences. With all the cuts in services within our health system and the long waiting lists, many families are really struggling. GAP clubs and camps give the child or young person a chance to enjoy an activity independently of their family while giving the other members of their family a break. The peer support offered by GAP is important both to families undergoing the diagnosis journey and to families who are transitioning from one stage to another in their lives. Without your support, GAP cannot continue to offer these supports. 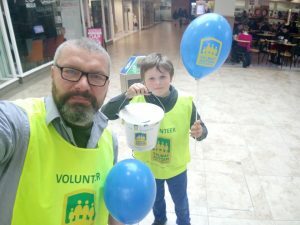 You can contact our Office on 091-588899 to speak with our Coordinator Aisling or email info@galwayautismpartnership.com for more information on fundraising.